25Khz is sepecial for area with deep fat such as belly and buttock.it utilizing focused and special long wave transmitter to project the frequency which reaches 25KHz of the intense sound wave, the deep fat cell is bombarded with robust force and caused its membrane the introversion demolition, the fat cells will changed to fatty acids, which can easy get out from body. After the 25Khz cavitation treatment, the fatty acid will remove from body by the normal metabolism, the treatment area will looks thiner cos the fat cells burnt. 25Khz cavitation is good for removing fat of stubborn area. Keep body shapping and slimming. 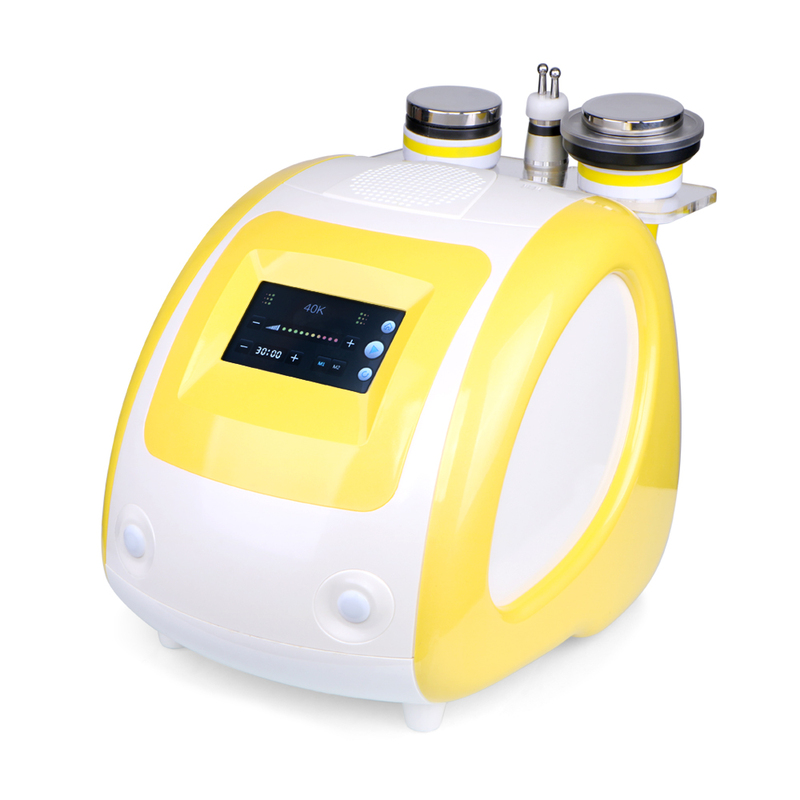 Yellow Cavitation Unoisetion uses 40khz ultrasonic wave which is easier to reach the deeper layers of the fat, the fat cells will be blasted. Then excreted, results in celulite body slimming, Weight loss. It use on belly, legs, waist and arm.